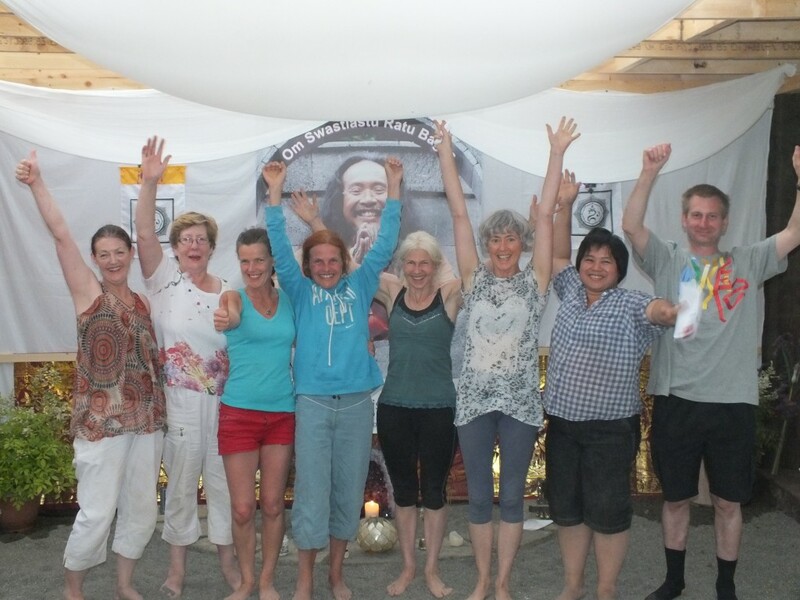 ‘Last weekend I went to the Karuna Flame retreat hosted by Kris and Karen, I have to say I can’t remember the last time I laughed so much! The whole experience was magical from start to finish. The energy was very strong in the Taman and the shaking sessions very powerful. The two new arrivals to shaking seemed to get into the energy straight away. I would like to thank Kris for his words of wisdom which really helped me. I am astounded at the job he has done with regards to the building works and the accommodation, I can only imagine the hours of hard work gone in behind the scenes to make this project a reality. I would like to say a special thanks to Karen too for her warmth, generosity and wonderful nourishing food, it was delicious and so was the singing…what a beautiful, uplifting way to end the group sharing. Thank you, thank you, thank you from the bottom of my heart, for making this weekend a very special one for me, I came away wanting more and remembering how lucky I am to have Ratu and this incredible practice in my life.